If you live in the Indianapolis area, it is highly likely that you have a sump pump, or will someday need one. Not all sump pumps are created equal, so it is important that you do your research on the type of sump pump that you have installed in your home. You should know the size (or horsepower) of the sump pump that you need for your personal situation, if a backup sump pump is also needed or not, the average lifespan of the sump pump that you purchase, what the warranty on the sump pump is; and if you are having it installed by a professional, you should ask what kind of warranty that professional provides on their parts and labor. In addition to this information, once you choose your sump pump, you should educate yourself on what up-keep is needed and how to test that your sump pump is in working order. You never want to find yourself with a non-working sump pump. That result of being unaware that your sump pump is not working could be thousands of dollars worth of damage to your home! 1/3 horsepower and 1/2 horsepower sump pumps are the most common choices for residential sump pumps, although there are many more options if you have a more unique circumstance. Choosing the right size can save you a lot of money and hassle in the long run. If you need assistance in choosing the right size for your home, Plumb Doctor has experienced plumbers that would quickly be able to assist you with this decision and give their recommendation for the best size sump pump for your home based on their experience and knowledge. If you are installing a sump pump, a back up sump pump is something that you should be considering as well. There are two types of back up sump pumps: battery powered and water powered. There are pros and cons to each one. The battery powered back up sump pump can work during a power outage when your main sump pump loses power. It can also kick in if your main sump pump is having issues keeping up. The downfall is, of course with every battery-powered appliance, the battery can only run for so long without recharging, which could cause an issue if there is an extended power outage. The water powered back up sump pump has the advantage that it can run for an unlimited amount of time with no battery to monitor; however, there are some specific plumbing requirements your home has to meet to be able to use one of these back up pumps. Another option when installing a sump pump, is to install a combination pump, which is combination of a primary sump pump and battery powered backup sump pump all in one package. A sump pump’s average lifespan is about 10 years. The general rule is that if you are not sure how old your sump pump is, it should most likely be replaced, or at the very least cleaned, inspected, and then maintained. It is important to check the warranty that comes with the sump pump that you purchase. Zoeller sump pumps come with a 3 year manufacture warranty to give you peace of mind that you are buying a quality product that will protect your home from potential water damage. In addition to the manufacture’s warranty, Plumb Doctor provides an additional 1 year parts and labor warranty when installing a sump pump for our customers. 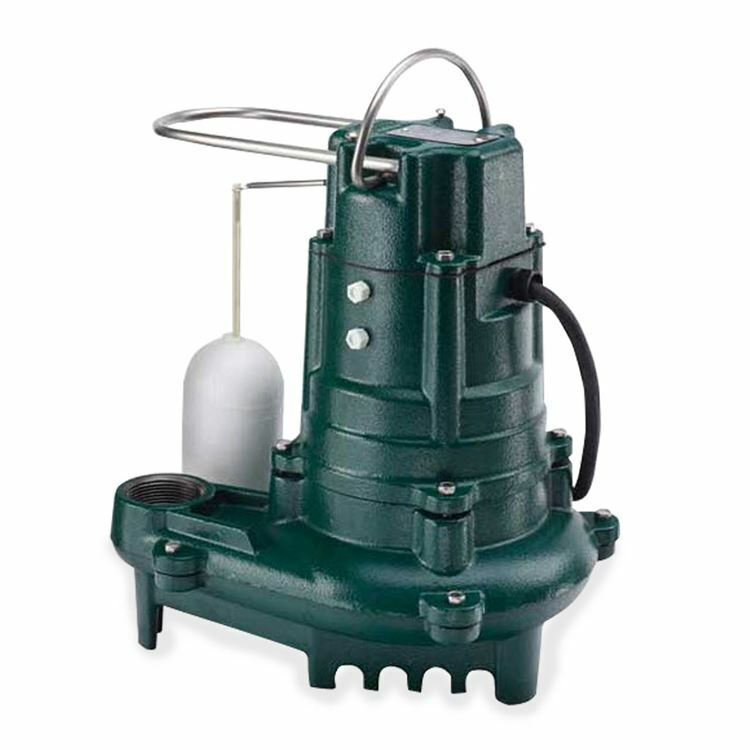 At Plumb Doctor, we install only what we consider to be the best sump pumps currently on the market: Zoeller Sump Pumps. Zoeller is based in the United States and one of the oldest family-owned manufacturers of submersible pumps, systems, and controls for moving and treating water. We have been very satisfied with the Zoeller company and the products they manufacture. They provide an excellent product with an excellent warranty, and that is why the plumbing experts at Plumb Doctor take pride in installing them for our customers. If you are considering installing a sump pump in your home and would like a free estimate, you can contact Plumb Doctor at 317-306-9343 or fill out a form on our website here and we will be in contact with you shortly! Older PostPREPARING TO SELL YOUR HOME? READ THIS FIRST!